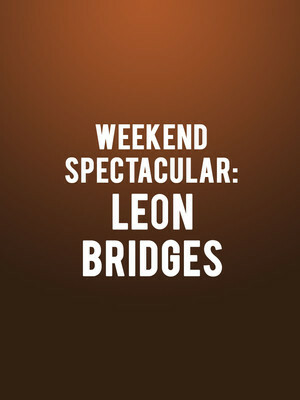 Why See Weekend Spectacular: Leon Bridges? The Hollywood Bowl is setting phasers to sweet and soulful during its hotly anticipated Weekend Spectaculars series concert featuring four time Grammy nominee Leon Bridges and alternative R&B up and comer Rhye. Opening the sizzling summer evening, Canadian singer songwriter Mike Milosh AKA Rhye brings his sophisticated and sensual electronic stylings to the stage with genre-defining tracks like 'Open', 'The Fall' and 'Phoenix', as well as an androgynous countertenor vocal. 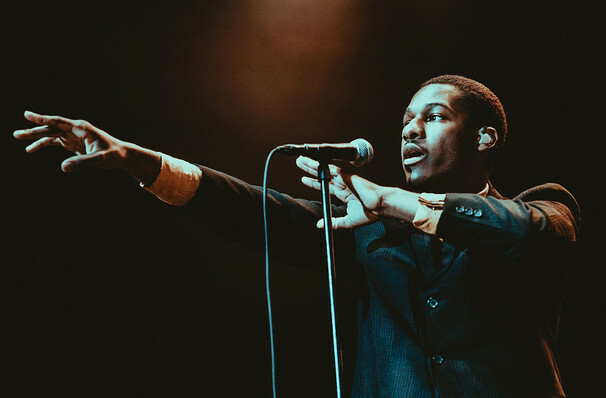 Headlining the evening, Texan soul singer Leon Bridges drew comparison to the likes of old school greats Sam Cooke and Otis Redding when two demoes released on his Soundcloud in late 2014 gathered much industry buzz and fan support, culminating in the Grammy nominated release of his debut album Coming Home just a year later. With a distinctive 60s rhythm and blues, analog sound, the guitar-toting troubadour sings of personal and political troubles with lyrical poise and heart. Sound good to you? Share this page on social media and let your friends know about Weekend Spectacular: Leon Bridges at Hollywood Bowl. Please note: The term Hollywood Bowl and/or Weekend Spectacular: Leon Bridges as well as all associated graphics, logos, and/or other trademarks, tradenames or copyrights are the property of the Hollywood Bowl and/or Weekend Spectacular: Leon Bridges and are used herein for factual descriptive purposes only. We are in no way associated with or authorized by the Hollywood Bowl and/or Weekend Spectacular: Leon Bridges and neither that entity nor any of its affiliates have licensed or endorsed us to sell tickets, goods and or services in conjunction with their events.